Google’s October 4 product event was an extravaganza of new devices and product segments. More importantly, it was a showcase of Google putting its technology and machine learning solutions forward and changing the conversation. “We are excited for the shift from a mobile-first to an A.I.-first world,” Google CEO Sundar Pichai stated on stage just before unveiling the widest selection and range of new products we’ve seen from any technology company this year. With this statement, Google is making it clear that it isn’t simply competing in the mobile market, with incremental handset improvements, specs and features. 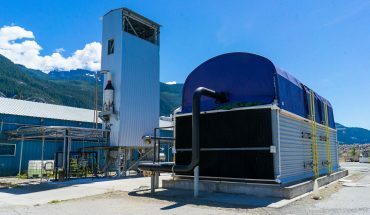 The company is taking the longer view, it sees Artificial Intelligence, or A.I., as the future and it is in the best position to put that future in people’s hands. With this statement, Google is making it clear that it isn’t simply competing in the mobile market, with incremental handset improvements, specs and features. The company is taking the longer view, it sees Artificial Intelligence, or A.I., as the future and it is in the best position to put that future in people’s hands. 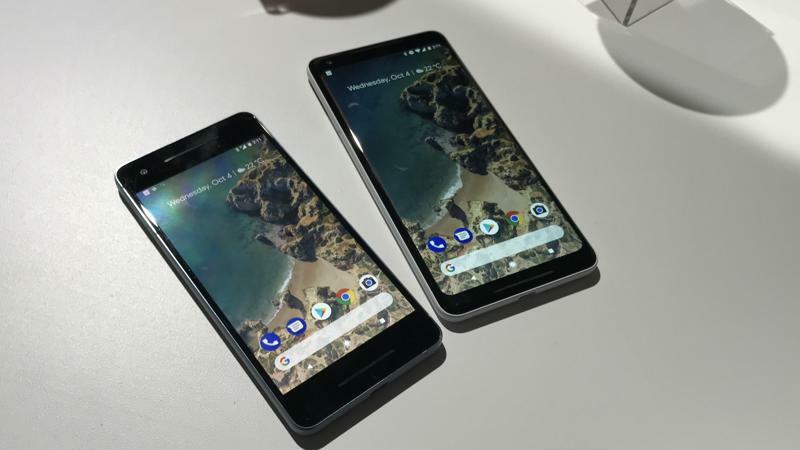 There were mobile devices launched at this event, most notably the premium Pixel 2 and Pixel 2 XL smartphones which offer comparative features and specs to the latest iPhones and Samsungs. But the discussion was not focused on the usual speed, performance, and design specs but more on how the phones solve problems for users. Google Assistant, the company’s A.I. which was, really the focus of the event, is now easily invoked by squeezing the sides of the Pixel phones. The phones also feature Google Lens, which uses the camera to take photos of photos, flyers or even artwork and then uses A.I. to gather more information on the fly. The new Pixel phones are also touting the best camera ever on a smartphone. A claim we’ve heard recently from Samsung for its Note 8 and from Apple for its iPhone 8 and iPhone X devices. The big difference is Google is using A.I. and also computational photography to make images look the best even without having to use multiple camera lenses. The Pixel 2 has a 12-megapixel camera with a f/1.8 aperture and image stabilization. This is the norm for premium smartphone cameras, What makes Pixels different is that when you take a photo, the phone takes a burst of multiple photos and quickly susses out the details for the best possible outcome and presents you with the best composite of those burst shots. The other news at the event was Google Home Mini and Google Home Max, two new sizes of the company’s smart speaker aimed at two segments of the market. The Google Home Mini is a donut-sized speaker but it offers all the benefits of the Google Home device they launched last year. It can be queried to search the web, play music from services like Spotify and Google Play, connect to Chromecast devices to play Netflix shows or YouTube videos in connected TVs as well as control everything from smart thermostats, Philips Hue lights and other appliances. Google has also enabled free voice calling on Google Home devices to Canadian and US phone numbers. 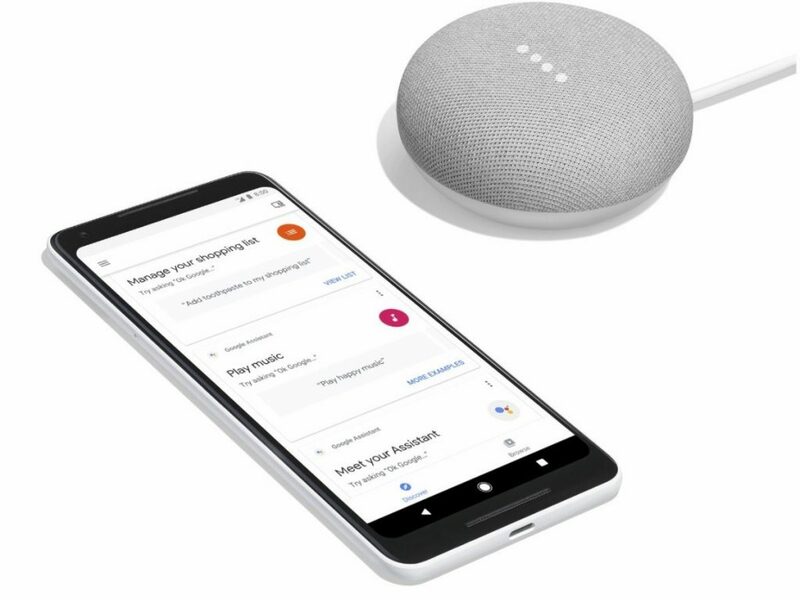 Multiple users can also use a Google Home because of a Voice Match feature that corresponds a voice to a user’s data (i.e. 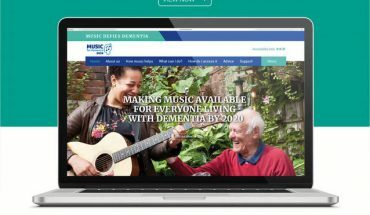 address book, calendar, commute information, music services). 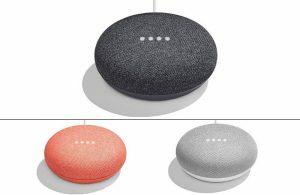 Google Home Mini costs $79, which makes it an affordable connected smart speaker option and better than Amazon’s Echo for Canadians since it understands English and French commands and has some Canadian-specific content. 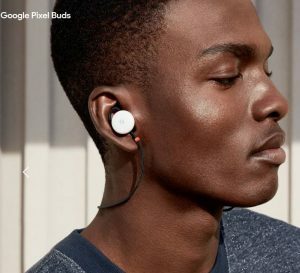 Another notable product were Pixel Buds. On the surface, they look just like Google’s answer to Apple’s AirPods, which are Bluetooth headsets that incorporate Google Assistant. The Pixel Buds, however, can translate 40 languages in real-time. Much like the fictional Babelfish from Douglas Adams’ The Hitchhiker’s Guide to the Galaxy novels, one simply has to wear the Pixel Buds, listen to foreign voices and the A.I. will translate the words directly. Of course, this is a feature that merits some testing before declaring how great it is but this is a potentially game-changing product, especially for its price point of under CAD $300. Google also revealed a very expensive Pixelbook ‘4-in-1’ convertible. Running the Chrome OS, basically a souped-up browser with web apps, the Pixelbook can shapeshift from sleek notebook to tablet, presentation tool and e-Book reader depending on how the hinge is deployed. The device itself looks and feels amazing. Aluminum and glass construction, subtle details and design cues taken directly from the Pixel phones as well as what Google claims is the most precise Pen for drawing, inking and note-taking (an optional accessory for $129). This is a bold and desirable device but it costs a lot. Starting at CAD $1299, it is doubtful that it will catch much traction outside of Google and Chrome diehards. Google Clips is another novel idea. A standalone camera that is also a photographer. This tiny device can be planted anywhere and uses machine learning and A.I. to take various photos and videos which can later be accessed via Google’s Photo app. Ideal for situations like a children’s birthday party or a wedding, where there’s just too much going on to have to stop and take photos as well. 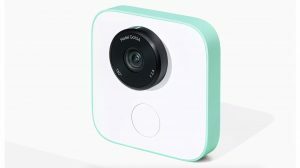 Google Clips is an ambitious and interesting container for computational photography and A.I. implementation. There are a lot of takeaways from the Google event. The company is now a legitimate producer of consumer electronics. More than phones and Chromebooks, it is creating smart and lifestyle-focused products and ecosystems that put it at the forefront of the global home and smart assistant markets. 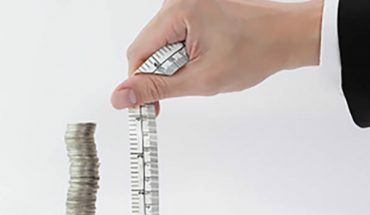 While the company has competitive products in various segments, it is their core technologies and massive investment in long term computing breakthroughs that they are banking on for their success.